Mokum HSE helps you improve your organisation's health, safety and environmental situation. You can expect both independant specialist advice and hands-on help here. I specialise in chemical health and safety: occupational hygiene and also use, storage and transport safety compliance. 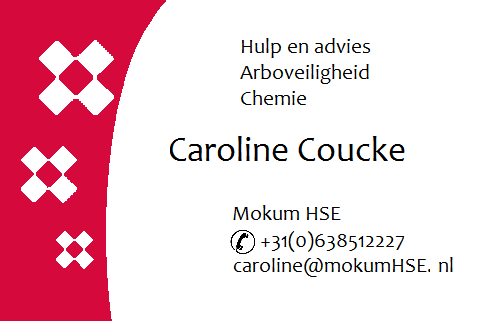 You can contact me at caroline@mokumhse.nl if you are curious, for information and naturally for advice.